The man’s best friend needs warmth and care in winters. Here are few tips to ensure happiness of our never-ending source of happiness. Grooming: Keep the fur long during winter. Unless it is essential to cut or shave the fur for any medical reason, don’t trim it. Try to keep it long to ensure warmth for your friend all through the winter season. It is important to do good and vigorous combing to alleviate any problems that may strike owing to long fur. Bathing: Normally during winters we avoid to bathe our pets thinking that they may catch cold but it is also essential to keep them clean as they are exposed to dirt more. Consider giving them short bath with warm water. Dry them off quickly and make them do little warm-up exercises. This way they will keep off the cold. Paws and nails: Keep the hair and nails around the paws well trimmed and clean. 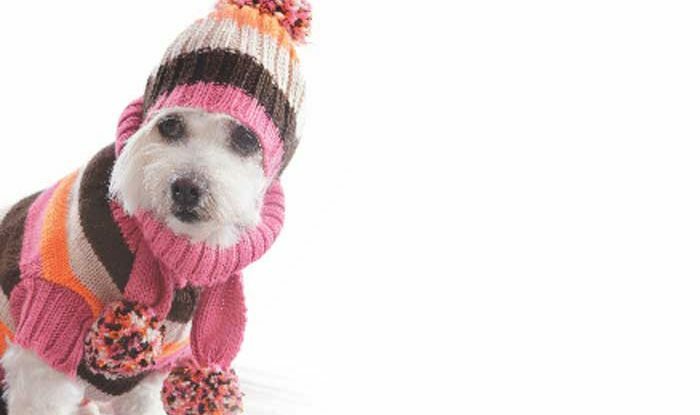 If your dog does not wear booties, then it is extremely important to keep their paws clean. After walks outside, check their paws for crack, cuts or for any foreign debris. You can apply a foot balm to keep them soft and supple but then the sticky paw prints would be all over your house. Avoid overfeeding: During winters when we don’t let our pets move out of the house due to chilly weather, thus exercising outdoors also significantly reduces. This results in weight gain. Becoming overweight is a problem for our pets as much as it is for us. Basic amenities: Dry and clean bed is a must. Chill can catch the bone very fast. To keep them warm leave a rug or a carpet piece for them. Change the water frequently. Keep the fresh water supply or so that water does not freeze. Sufficient exercise: A dog is happiest when he is let outside to play along with his master. A bored dog is often a problem animal-prone to barking, chewing and sometimes can bite also. Moreover, if you keep it confined to a room with heater on, it depresses the dog. It’s extremely important to be sensitive to your pet’s mood. A small Ping-Pong ball may also do wonders. If you need company for your own exercise, dog is, as said before, your best friend. Exercise keeps it fit mentally and physically. A dog is social by nature and does its best to keep you and your family happy. Humans are their primary social companions and all they want is a little compassion and care.